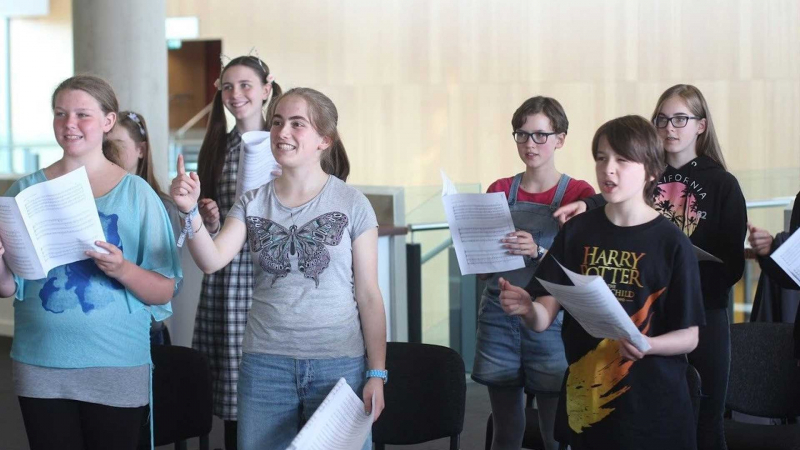 Alongside our performance and project work, the Monteverdi Choir & Orchestras is committed to providing learning and engagement opportunities for children, young professionals and adults. As an integral part of our work for over five decades, we are passionately dedicated to nurturing future musical generations and sharing our specialist knowledge with emerging talent. Our education projects complement our primary concert activity by working with Music Education Hubs, schools and venues in and around London, offering open access to our rehearsals, the chance to meet with our musicians, talks, workshops and bespoke masterclasses with members of our three ensembles. The Monteverdi Apprentices Programme enables outstanding young musicians to spend an entire year training and performing with our three world-class ensembles, under the direction of Sir John Eliot Gardiner. Participants perform and tour with the ensembles, take part in additional individual and group coaching sessions, and receive mentoring from our experienced musicians. In our management office, the Arts Management Training Programme offers graduates looking to build careers in arts administration a bridge between university and the professional world in an innovative and supportive environment.